When you choose a roof repair’s company, in addition to exceptional installation or repair service, you also expect reliable follow-up. Toitures PME is committed to guaranteeing its clients exceptional roofing service and to delivering rapid, reliable maintenance, replacement, renovation, and repair service. We provide comprehensive maintenance plans for our roofing installations, which include the cost of preventive maintenance for specific roof types. Our R&D-dedicated service department has enabled us to develop innovative roof repair techniques that are effective and affordable. As a rule, when specific roofing problems occur, most companies immediately advise clients to replace the entire roof. Toitures PME consistently strives to come up with the most cost-effective solution for its clients. Whenever possible, we prefer to replace only the damaged portion of the roof in order to minimize costs and installation time. Our repair experts will suggest innovative solutions that are sure to guarantee satisfaction. There won’t be any unpleasant surprises when you do business with PME. When you entrust us to install a new roof or repair an existing one, you are in the hands of trusted professionals who understand the specific nature of your roof. Whether you want us to repair a leak or better insulate your roof, we always suggest the best solution. Our extensive roofing experience enables us to offer competitive prices and provide top quality service. Once you turn to Toitures PME, you’ll gain a lifetime of peace of mind for all your roofing needs. At the beginning of each season, it is highly recommended that you perform a visual inspection of your roof. Drain strainers must be cleaned. If you notice any signs of old age, such as ridging, wrinkling, blistering, exposed sheathing paper or sealing joints cracked or dried out, give us a call for a free evaluation. 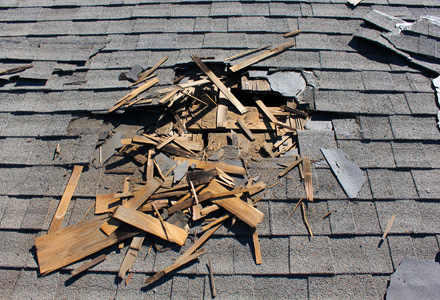 Periodic maintenance will significantly extend the life of your roof.